INDUSTRY.co.id - Jakarta - The Leader and Tik Tok Team held a meeting with Dr.Pribudiarta N. Sitepu, Secretary of the Ministry of Women Empowerment and Child Protection to get to know more from various parties that helped promote a healthy and positive environment for Internet users in Indonesia. This meeting aims to understand the ministry's point of view about children's creativity in the digital world while protecting them. The main points discussed in the meeting were on promoting educational and positive content through the Internet and encouraging the development of women and children. The Tik Tok Ministry and Leaders recognize the potential contribution of Tik Tok applications to create and promote educational content. Tik Tok dan Ministry also discussed some potential collaborations such as the launch of the campaign in the framework of National Children's Day in the middle of July, using machine learning (ML) skills to deliver appropriate content as well as educational programs for parents to spread healthy internet usage. "The Ministry of Women's Empowerment and Child Protection already has laws governing child-friendly content, so applications or digital platforms that reach Indonesia must follow the law. Tik Tok is expected to commit to child protection by providing clear boundaries and rules regarding it Tik Tok should also be a partner of the government to disseminate and educate Indonesians with positive content in order to be an example for other platforms, "said Dr. Ir.Pribudiarta Nur Sitepu. 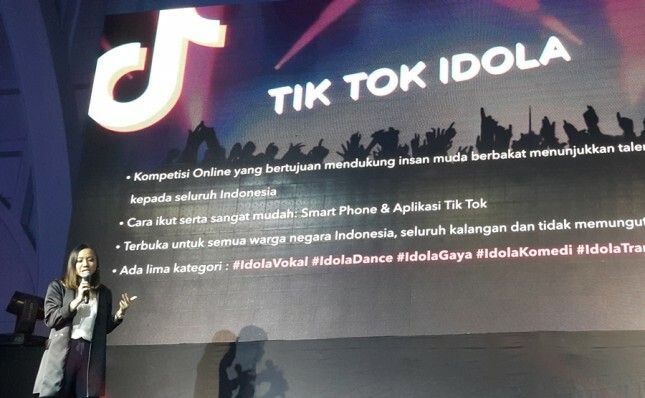 Zhen Liu, SVP Bytedance said, "We realize that Tik Tok is able to contribute to Indonesia to promote educational messages to women and children. We are very excited to be working with the Ministry and the people of Indonesia. Tik Tok is committed to developing industry standards and strengthening online security in Indonesia. We want to help create a good and positive Internet experience and support the creation of high quality content in our platform content. "